If full scale office relocation is the pressing matter, topping your schedule for the last month or so, then perhaps it is time you invested some thought into planning the actual removal, and ensuring its timely, cost effective completion. Before going any further with your office relocation plans, keep in mind that one such project will require a fair bit of planning, resources, manpower and perfect timing, and if you don’t have the time or means to deal with it all, then perhaps using one of our professional grade office relocation services will make all the difference and give you the upper hand in this tricky situation. We have been providing professional grade office removals in Hampstead for quite some time now, and know what customers expect of a top quality removal service that is worth their time and money. We are no miracle workers though, our high success rate and exceptional servicing are due very earthly factors like tons of dedication and tenacity, long hours of hard work, and the excellent training of our employees and workers. All this adds up to better, more efficient office removal solutions that give customers the right results at the right price. Taking the guesswork out of moving is one of the most important aspects of successful job completions, problems is that not many companies out there are willing to put in the extra yards and cover all angles, where as we account for everything down to the smallest detail and leave nothing to chance. We don’t rely on luck, but on sufficient technical capacity and outstanding service expertise. 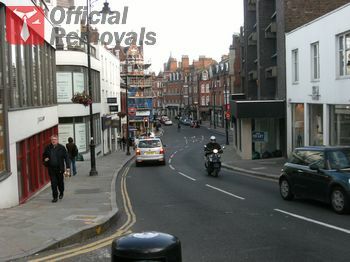 This is why, we provide the best office removals in Hampstead, and we intend to keep it that way. Some tech-specs about our services – the company works with specially trained, professional movers, all removals are supervised by a qualified relocations expert, who ensures everything is done according to plan and schedule. We also provide certain additional services like single item office removals, clearance of redundant or damaged IT equipment, and specialised storage service in secured, weatherproof storage facilities, all at great prices. We are just the people to call if you are looking to hire dependable and qualified moving experts in Hampstead. Our staff is organised and attentive to the needs of our clients. You can hire them for small or big comprehensive office removals in Hampstead NW3 365 days of the year. They work in a cost and time-efficient way which makes our commercial moving services in NW3 Hampstead remarkably affordable. If you have any questions, turn to our seasoned personnel. You will get many free moving tips from our helpful team of insured movers. We, at Official Removals, also have a magnificent fleet of professional moving vans. Hampstead is located in the Borough of Camden and is often called Hampstead Village. The area is known for its incredibly expensive properties and it is situated close to Hampstead Heath which is the biggest ancient parkland in the English capital. Hampstead also offers a wealth of cultural attractions and landmarks.